Search engine optimization (SEO) and search engine marketing (SEM) are tricky beasts. Everyone seems to know that they need it, but few know what it is or how to go about doing it. And there are options if you’re looking to implement SEO/SEM into your marketing strategy. When it comes to SEO/SEM, do you hire internally or do you hire a firm? 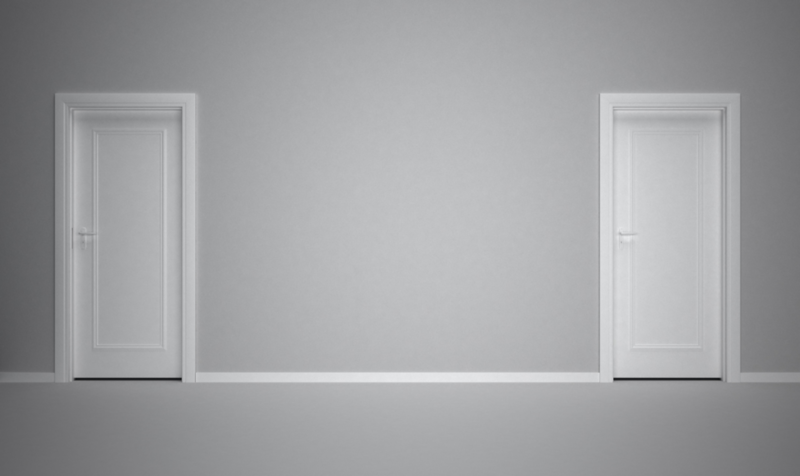 Which door will you choose for SEO/SEM services? What does an SEO specialist make? What are the average fees charged by a firm? If you’re basing your decision off of money, basic math makes the decision easy. SEO/SEM specialists salary ranges from $45k-$85k depending on experience, and these are the low guys on the totem pole according to SEOMoz . But then you must factor in other hard costs of having an employee such as taxes, Social Security and unemployment, training costs, benefits, paid time off for vacations, holidays and sick time. According to CNNMoney, a general rule is that business owners should expect an employee to cost an additional 25-30% per year, on top of base salary. Though taxes vary by state, but generally this is a hardship for smaller businesses. With your $45k-$85k employee that increases your costs to $59k-$111k. Service fees from firms can cost businesses $24k-$60k+ a year depending on the size of the website and AdWords campaign. A survey found that companies in the US charged, on average, $100-$10,000 for a monthly retainer, with the most common amounted charged from $1,000-$5,000. If you go with a firm in the middle at $3,000 a month, you’re still saving over $20,000 over the cost of having an entry-level, full-time employee. 1. Less Oversight – Instead of actively managing and training an employee to do SEO, hiring a firm requires a some meetings, some phone calls or emails, and that’s it. Once goals, strategies and tactics are laid out the process the SEO firm takes the reins. You’ll receive updates and progress reports and work with the firm if any alterations to the campaign are needed but ultimately it’s pretty hands off. 2. Team vs. Individual – With many firms you get a team of specialists to work with instead of relying on the individual experience of one internal employee. You’ll likely get access to a specialist, manager and director for cheaper than the cost of one employee. 3. Cost – Speaking of cost, as we said above, service fees from a firm are way more cost-effective for SEO/SEM services. Especially when you find firms that use a monthly retainer for services rendered or charge on a project basis instead of hourly. 4. Expert Insight – Most firms have the experience to know what it takes to successfully implement an SEM campaign and are well-versed in industry practices regarding SEO. Because it’s their business to know SEO/SEM inside out they are constantly learning new technologies and new practices. Companies benefit greatly from their continued education and knowledge growth. 5. One-Stop Marketing Shop – This is especially true for smaller companies who don’t always have huge marketing support. Most firms have diversified staff that can handle your SEO/SEM needs as well as manage your website, social media, marketing collateral and advertising. Sometimes you can even receive a discount by running all of your business through them, saving even more money. Besides weighing the pro’s and con’s of hiring an employee or firm, you want to make sure the firm you are dealing with is reputable and knowledgeable in order to truly enjoy any cost-savings from outsourcing. What do you think, should you hire internally or hire a firm for SEO/SEM services? Leave us a comment below! If you’re looking for quality and trustworthy SEO/SEM services, please contact us today! How Much Does a Full-Time Employee Really Costs? Share this article with the social buttons below!